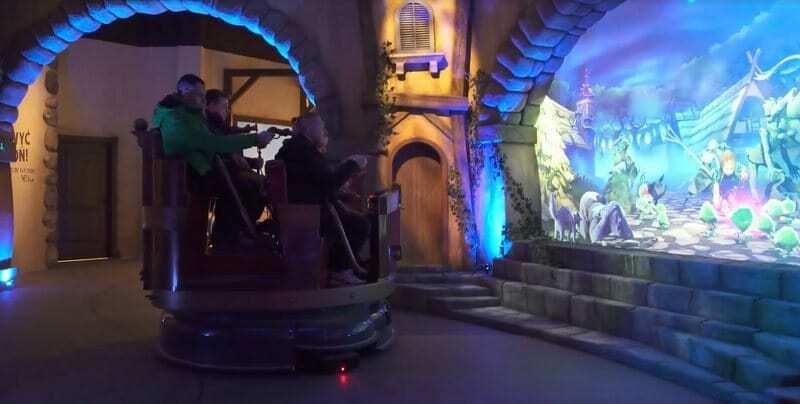 Poland’s Legendia theme park is now home to Basilisk, the country’s first interactive dark ride. 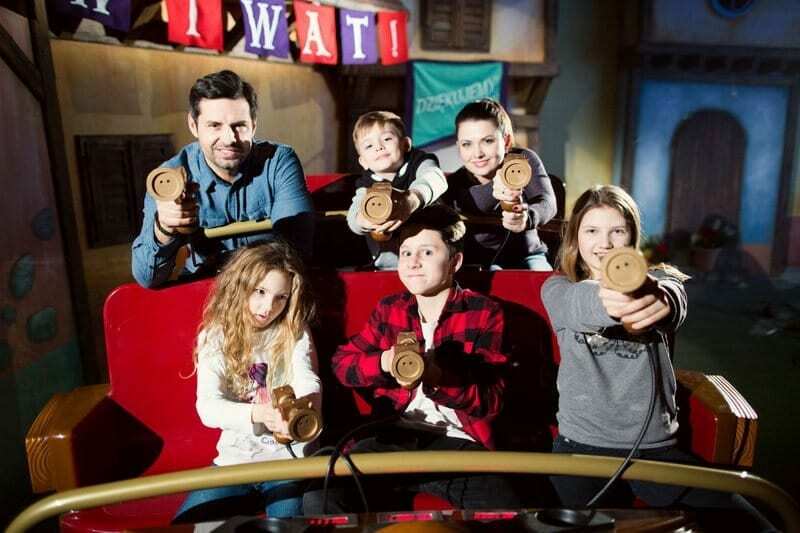 The new attraction Basilisk, or Bazyliszek in Polish, opened this spring as part of the recently rebranded Legendia theme park, which now includes five themed zones. Basilisk is the very first interactive dark ride in Poland on such a scale and offers a one-of-a-kind experience featuring the most advanced dark ride technology. Formerly known as Śląskie Wesołe Miasteczko, Legendia is the oldest family amusement park in Poland, located in Chorzow, Upper Silesia. The story of the Bazyliszek attraction is based on authentic Polish folklore about a monster combined of a dinosaur, snake and rooster with the ability to turn people into stone with its gaze. Legendia’s Basilisk attraction is situated in the Magical Forest zone, and when guests enter the headquarters of the Monster Hunters Guild, they hear the story and learn about the challenge ahead. In the peaceful village of Kurkowo, citizens are fighting monsters, the most dangerous one being the Basilisk. The Monster Hunter vehicle takes visitors through ancient villages, dark caves, forests and ruins. During the fierce battle they use their Monster Hunter Gun, a laser weapon with light and mirror technology for special effects, to finally defeat the ferocious Basilisk and end its terror. Players compete for the highest score, resulting in Best Monster Hunter in the Guild’s golden book. Alterface, Jora Vision and ETF collaborated to create the new ride. 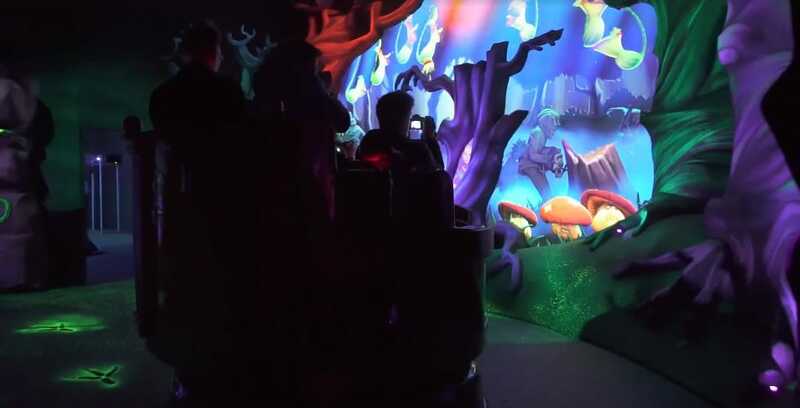 Alterface has overseen the total ride experience as main contractor for the attraction, applying their latest interactive technology including video mapping, gameplay, show control and shooting devices. Jora Vision has been responsible for the design and production of theming for the ride and its queue areas, and had previously developed the new master plan for the park. ETF crafted the trackless Multi mover vehicles, which were customized to fit the Basilisk theme. For more information about Legendia, visit legendia.pl.